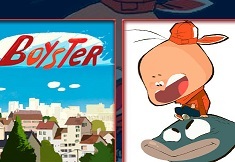 What a wonderful day kids, so wonderful that our site games-kids.com team thought that it's time to start this day with a new game from one of our newest games category, with Boyster as a main character. Boyster is a very interesting 11 year old boy, and we say that he's interesting because as you know, he is half oyster half boy. 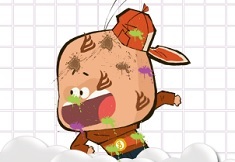 Well, today we have prepared for you, and you are all invited to play, a puzzle game with this wonderful little boy, because we know how much you enjoy spending your free time by playing puzzle games. 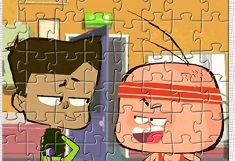 Today's puzzle game with Boyster is actually a sorting tiles kind of puzzle game, meaning that you will have to arrange the tiles in such way you complete the image. 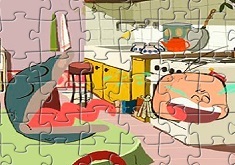 The tiles are scrambled, and you have to find their right place. Also, you will have to choose between three options of difficulty, each difficulty has its own time in which you must finish the puzzle. You can start with an easy level and then, if you think you have it, you can try the other two, which are a little bit harder. Good luck kids and please, share this game with your friends!